Lush is a luscious mix of Honey, Pineapple, Milk notes, French Vanilla Cream and a hint of Cinnamon. Sweet inhale of honey pineapple with creamy milk blend and a subtle taste of cinnamon on the exhale. Lush is a mix of mouth watering flavors that leave a taste of sweet creaminess and a hint of cinnamon love. 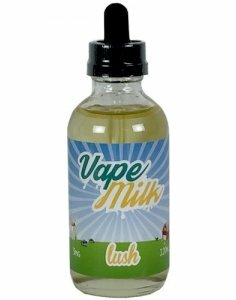 Lush by Vape Milk Pineapple Dream!!! This flavor is very unique. reminds me of Pineapple Hi Chew. If hawaii had its own vape flavor it would be this one. At $22.99 its a hell of a deal and its in glass so you know its super high quality juice. This thing tastes bomb and i couldnt get enough of it. I ran out of it after 2 weeks and plant to get more online.